The Charleston Gazette | Governor declares State of Emergency after oil train derails, sets house ablaze. Evan Osnos: A Chemical Spill in West Virginia : The New Yorker. Nine sue over Sissonville explosion – Business, Government Legal News from throughout WV. Photo Gallery – West Virginia Host Farms. W.Va. gas explosion burns homes, shuts I-77. West Virginia Host Farms – Home. Website Connects Land Owners and Marcellus Researchers – WBOY.com: Clarksburg, Morgantown: News, Sports, Weather. CLARKSBURG – The oil and gas industry and its presence in West Virginia almost always sparks debate. Some argue its economic benefits, while others question the possibility of negative environmental impacts. The fact is, not many facts are known about the affects of drilling at this time. That’s why Diane Pitcock designed a website that will hopefully answer some of those questions and concerns. 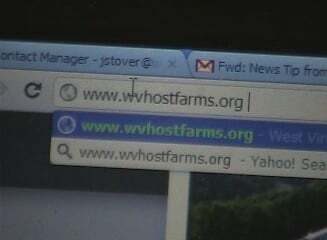 The website is called WVhostfarms.org and it’s purpose is to connect landowners and environmental scientists. Pitcock said it’s hard to make conclusions about the Marcellus industry without documentation of land properties before drilling takes place nearby. “One of the biggest flaws that the research community has had and it’s something we’ll be able to help with, is there was no baseline testing pre drilling,” said Diane Pitcock, program administrator for WVHostFarms.org. She describes the website as an invitation to the environmental research community. “We have a network of landowners, who are more than willing to offer their farms for researchers,” Pitcock said. “Some of them are wiling to provide lodging or camping space for the scientists,” said Tom Bond, a landowner with a PhD in Inorganic Chemistry and who took a Toxicology course from the American Chemical Society. The website aims to bring scientists to West Virginia private properties. WBOY 12 News spoke with a family a few months ago, that told us an oil and gas company told them “sorry about your luck,” after test results indicated high levels of arsenic in their water well. “Denying on the part of the drilling companies because no proper water samples were taken in advance,” Bond said. Pitcock said that response is heard all too often. “If we run into problems later as far as water contamination or live stock being impacted, we’ll have those baseline tests to show the water was fine before the fracking started,” Pitcock said. “It’s hard to make a case with only anecdotal evidence,” Bond said. “We’ll have something that will actually be able to document. Something that can’t be disputed by the industry ‘there’s no baseline testing done so you can’t prove it.’ We’ll be able to prove it,” Pitcock said. Bond and Pitcock say the lack of baseline testing has hurt individuals in litigation, but that’s not their only or primary concern. “Landowners that are concerned want to see this research come here,” Pitcock said. To share your stories and views about the oil and gas industry check out Jamie Stover’s Facebook page. You can also contact Jamie Stover about your story by clicking here.